It’s still likely months until we see the Samsung Galaxy S IV, but talk about it has already started and once that ball starts rolling it’s hard to stop it. This time, we have a wishful concept for the next Galaxy S Android flagship and it’s a looker. Some of the features like an even lighter and slimmer body seem possible, others like the laser-projected keyboard we’re plain tired of seeing - it’s not going to happen, folks. The only thing that seems like a lock is the 1080p display. Looking at all other manufacturers, it almost seems like a sure fact that Samsung will also have to use a 5-inch 1080p display to be relevant. A Samsung Exynos 5 processor also is almost certain to be inside the handset, and we’d bet on a quad-core version, if only because of the buzz word that quad-core has become. 2.0GHz, though? We doubt it as it’d be too much of a hit on the battery. And when it comes to the camera sensor, having a 13-megapixel one definitely won’t solve anyone’s problems, what matters is the quality of the camera. With all that, we have to admit that the concept is really beautifully made and it’s worth a look, if just for that. 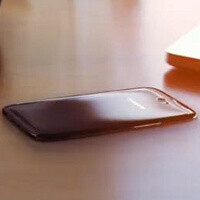 What are your wishes and expectations for the Samsung Galaxy S IV? Good job, the render looks great but there are a few points I want to add: - I would like SS to use the same minimalistic look like N4 and get rid of the physical home key. - The phone should not be that thin or it will be very difficult to handle, and more battery will not do any harm. - We of course want KLP but this is unrealistic as this phone is not a Nexus, KLP may come later but not at the time of release. The only downside of this is the bezel-less concept. The base of my thumb always accidentally touches a part of the screen whenever I try to reach out the furthest opposite side of the screen of my S3. I wish Samsung would stick on the current size of the S3 and not make it any more bigger as well. Looks good but seems its a unibody. The word inovation means "Samsung". GS3 was and still a huge success. Can you imagine if this truly is the GS4.... Samsung can take my money! Well, renders and speculations are always better than the real thing. I usually hate concepts... It just looks like someone stretched out a GS3. The laser keyboard is actually possible though, and would be pretty cool. Just please, Samsung, give us a better looking device! No more glossy polycarbonate. hm.... s3 and iphone 5 hybrid? iPhone 5 has nothing to do with it as, any Samsung phone also works whilst off iWiFi. More like: Galaxy Note II and Galaxy S III hybrid with a splash of the Galaxy Camera!! You dont need a dock for the laser keyboard. Allow it to be in landscape mode and have a stand. Looked like fat iphone with top and bottom parts from iphone,looks good but if something is made like this then apple will sue. is it only me or anyone else feels that in the future, our hands could get cut by phones that are getting thinner? Stop posting this fan made crap and give us a real concept. It's really like iPhone design. Not only the upper and bottom parts are similar but also camera and speaker positions are similar.If Samsung made like this , I think Apple will sue again. a borderless S4? looks sweet!, I hope it has at least a 4,5" screen. Dude, what you want is a time travel machine; buy a De Lorean! Yeah..but except for the octacore one...i don't think they would jump straight to an octacore a15 cpu..maybe for a tablet but not yet on a phone...and if samsung follow everything u said, that phone would cost more than the overpriced phone called.........hmmm, forgot the name... Oh yeah i remembered, its the phone called the iphone, hahaha! Yeah, I meant the 8 core big little combination.. but now I realize that's the A50 + A8 one. It is built with phones in mind specifically and will draw less power than the classic quadcore solution. Alright, I guess the Exynos 5540 can be placed on that wishlist then. As for the price.. well the use of carbon fiber could be reserved for the premium series while the base model could have magnesium frame or something. I think the galaxy s line' image is at the point where it can add a little price and still be met with an increase in demand. It only makes sense actually. Octacore??? Wow hey, that's tooo far fetched. at least a hex-core (6 cored) phone will be in around 2015.